Online Marketing Specialist, KeepCalling - Aplica pe eJobs! 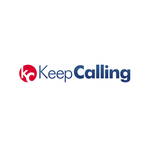 KeepCalling has an excellent career opportunity for an Online Marketing Specialist that will be part of our Marketing team. You will be responsible for increasing brand awareness and driving prospects to conversions through product promotions, website conversion optimization, forum marketing, influencer marketing, and search engine optimization (SEO). This position is ONLY available at our Sibiu location. Please apply only if you are willing to relocate to Sibiu. You are enthusiastic about technology and follow the latest news and releases. Tello is a telecom provider operating on the US market on the Sprint network. It is launched in 2016 with a strategy focused on low rates, no hidden fees, customizable plans with no contract commitments and great customer support. Tello Mobile is a brand owned by KeepCalling. The answer is simple: an amazing group of people who turned an inspiring story about phone cards, friends & $100 into a worldwide multi-million dollar company. We are friendly, ambitious, dedicated, and above all passionate about what we do. KeepCalling’s products are primarily targeted at ethnic and immigrant communities around the world. KeepCalling strives to offer the most accessible and easy to use services on the market, while the main focus of the company remains customer satisfaction.